Scar is a fibrous tissue that occurs at sites of injury as part of body’s healing process. Scars may be depressed (pitted) or raised (fully, in parts, or just in the edges) and may have the same color as the surrounding skin or be lighter or darker. Some people are more prone to scar than others. – Mild and superficial scars can often be treated with microdermabrasion. Monthly treatments are recommended to improve general skin tone and texture. Chemical Peels including medical-level peels such as VI Peel can also be helpful. – Micro-needling can be effective in treating mild to moderate scars. – For deeper and more noticeable scars, Laser Skin Resurfacing (MicroLaser Peel) is the next treatment to consider. In this treatment, a laser beam is used to remove superficial layers of dead skin and to reduce skin surface irregularities, including scars. – CO2 Fractional Laser is also highly effective for treatment of deeper and more noticeable acne scars. 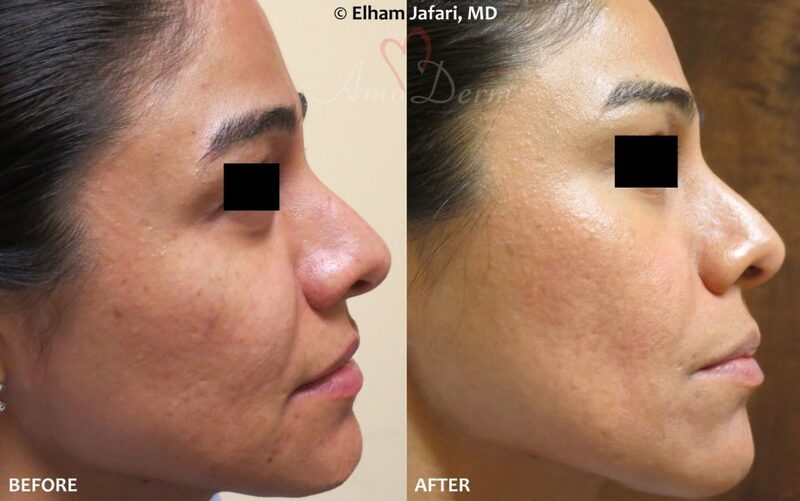 In this method, skin is treated with tiny yet powerful laser beams in a controlled pattern. The delivered energy stimulates the production and rearrangement of collagen and other components of healthy skin, rejuvenating the skin and reducing the appearance of the scar and other skin irregularities. – Scars with redness, erythema and pigmentation changes (hypo or hyper pigmentation) can be treated with IPL (Photofacial). Laser Skin Resurfacing can also help with some pigmentation changes. – For depressed and pitted scars, various Dermal Fillers can be injected underneath the scarred area to raise it and make it less noticeable. 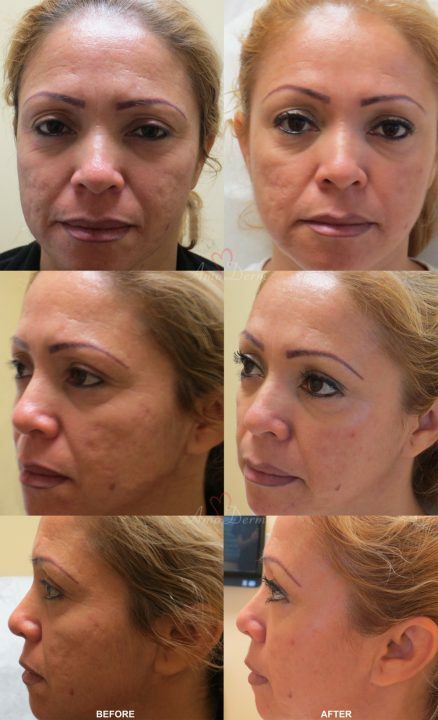 Contact us today to schedule your complimentary consultation for scar in Orange County!